Many people who follow a spiritual and/or religious path lose sight of an important fact. Although you are conscious that you are part of Spirit, as a Soul, in a physical body on this plane you call earth, you are in the physical for a reason. When you are in Spirit you are there for eternity with occasional visits to the earth plane to experience being in the physical. When you are in the physical, you are here for a finite time, for a specific reason. The specific reason is the Soul Contract you made, with others in Spirit, to balance your Souls karmic journey and to assist in balancing the karmic journeys of other Souls. 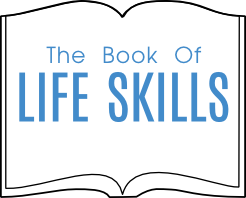 (See The Book of Life Skills Your Journey in this Lifetime A Victim or a Victor). You all agreed, in Spirit, to reincarnate, once again, in the physical, to act out certain roles to experience physical, emotional, mental, and yes, spiritual growth. These growth paths are required to experience certain experiences to balance your Souls karmic journey towards Perfection/The Light/ God/Spirit/All That Is or whatever term resonates with you. In essence to enable your Soul to become more enlightened. In Spirit, you learn the theory, in the physical you experience the practical. Perhaps an analogy will help you here. A tortoise in its shell cannot move forward unless it sticks it neck out. If it does stick its neck out it can move forward and, possibly get its neck bitten off by a predator. Yes, experience comes by taking risk, but growth requires risk to be taken to achieve reward. Many tortoises live between 50 and 100 years. These creatures learn to trust their instincts, their inner voices, to let them know when it is safe to stick their necks out and when it is safer to hide within their protective shells. Back to you as a conscious Soul in a physical body on earth. You are not here to live a totally spiritual life. You are that in Spirit, for eternity. You are here to live a physical life, to experience the growth in the physical while remaining spiritual in your approach to life. Of course it is important to spend time, and invest time, in daily observance and connection to a Higher Power through prayer, meditation, ritual and observance. This increase in consciousness is vital to your continual well-being. However, the purpose of this lesson Relationship Responsibility – is to explain to those of you who prefer to be very spiritual and or very religious in your day-to-day living, that your obsession with prayer, meditation, ritual, observance could be out of balance with your chosen karmic journey. You are here to experience growth by relating to others in the physical. These Soul contracts are played out in the rough and tumble of the physical world. You have come here to grow by confronting, risking, relating, growing, experiencing, learning, bumping your head, knowing happiness, sadness, exhilaration, despair. You have come to the physical to grow through relationships. You have a responsibility to your relationships that you agreed to in Spirit, your Soul contracts. You are here to experience life in the physical by relating and growing. You relate to others, as a mirror to your own Souls growth path. So why do you, who feel very spiritual and/or very religious, obsessively hide yourselves away behind your protective shell of prayer, meditation, ritual, observance, avoiding your responsibility of relationships? The person you have chosen to have a personal relationship with, as your meaningful other, cannot be avoided, ignored, and dismissed as you hide behind your protective shell of obsessive spirituality and/or religious observance. Those meaningful others are part of your Soul Contract. They are in your face as a mirror to remind you that you are here in the physical to deal with physical relationship issues not to hide away in your protective shells of spiritual/religious observance. However, if you spend one extra hour in your meditative state, religious observance, in essence, in isolation as you connect to Spirit, what growth do you experience for your Soul? Now, if you spend that same extra hour being spiritual in physical relationship action as opposed to being spiritual in isolation through prayer, meditation, ritual, observance, how would your Soul grow towards enlightenment? One extra hour spent relating to your meaningful other in your relationship by coming from Love, by Being Love, by giving love and attention, by perhaps even making love while being in love. One extra hour playing with your children what they want to play instead of I’m sorry I need more time to pray, meditate, do a ritual, observe some law. One extra hour helping out a neighbour, a friend, a stranger, a beggar, by coming from Love, by Being Love, by giving love and attention, by relating in love. If you are staying in your protective shell to be spiritual and/or religious so you can be a better person then perhaps you need to look at it from Spirit/God/All That Is perspective. Do you imagine Spirit/God/All That Is requires another extra hour‘s worth of praise through prayer, meditation, ritual and observance? Is your perception of Spirit/God/All That Is such a needy Entity that It requires constant reassurance of your praise? Or do you require constant reassurance that you are Part of Spirit that you have to remind yourself by continual obsessive prayer, mediation, ritual, observation such as the extra hour a day We are discussing here? Do you keep checking your body parts continually to reassure yourself you are a body in the physical? So why are you doing it obsessively with your spiritual body? Perhaps it is time to Let Go and Let God. Perhaps it’s time to learn to TRUST To Render Unto Spirit Totally and then To Rely Unto Spirit Totally. Know that you are Part of Spirit but also know that you are in the physical to relate to others so you can experience the experience of your Souls growth via physical relationship growth experiences. It’s time to stick your neck out of your protective spiritual and/or religious shell, trust your inner voice and move forward on your Souls growth path by experiencing relationships in the physical. It‘s time to expose yourself, to get your hands dirty, to tackle issues, to confront situations, to laugh, to play, to have fun, to experience all emotions. There is eternity in Spirit when you will long to experience things in the physical. You are here now, in the physical. It’s time to leave the apron strings of your perception of the protection of Spirit/God/All That Is. It‘s time to TRUST and to spend your time productively uplifting others in the physical, through physical experiences, so that you, as a Soul, can be uplifted as well. You have a responsibility to relate to others in the physical. It will go well with you if you can remember to come from Love, to Be Love, to experience Being Love in every action as you relate to others. God can only be God by experiencing everything. You, as a Part of God, experience emotions. By using the extra hour in physical relationship terms you can experience Being Love. God can then also experience Being Love, through you, as well as those you uplift with your Love. When next you want to devote an extra hour a day to meditation, prayer, ritual and observation in praise of Spirit/God/All That Is rather look to uplift and enlighten someone else by Being Love as you relate to them in the physical by all of you experiencing Love. Then Spirit/God/All That Is is truly being praised as you all grow through this experience of Being Love in physical terms. God is Love, you are a Part of God. You are Love. Experience Being Love Who You Really Are in the physical. Then your Soul will grow towards enlightenment. Enjoy the responsibility of your relationships in the physical for God‘s sake!